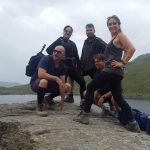 Gavin and the mighty Three Peaks Team are back from their epic journey, the Three Peaks Challenge! 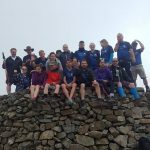 Last week, on Thursday 7th June Gavin and said team embarked on an adventure to walk up the three largest mountains across Scotland, Wales and England, in 3 days. The team was 21 people strong, and they ventured up in a minibus to Glasgow and met some of the team flying up from London. 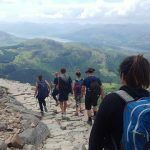 They would rendezvous in a hotel near their first mountain, Ben Nevis to start their adventure together the next morning on Friday 8th June. 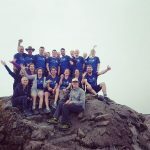 Below is the the timeline of their journey, to give a little insight into the fun, struggles and camaraderie on their adventure, and what they have achieved in fundraising for the new East Sussex Children’s Respite Centre! Read to the end to see how much they have raised so far! 8am Bob Sanders (BE Air Conditioning and member of Eastbourne BNI), Gavin Fisher and Gary Williams (Ambience Catering and member of Eastbourne BNI) pick up minibus No. 1 from Uckfield and begin the journey to Glasgow. (From Neva): Ashley Fish, Will Dalton, Avril Parlour, Isabel Barr, Sophie Haines, Magenta Kemp and Ollie Callaghan, plus Sophie’s boyfriend Drew. (More Eastbourne BNI Members): Andrew Chalmers (Lifetime Funeral Plans), David Johnson (Utility Warehouse), Lee Courtney (Prosper Home Loans), Jason Cornes (Business Coach), Peter Rainer-Jones and his son Gwilym Rainer-Jones ( A Job Well Done Plumbing and Heating). 11pm arrived at the Ben Nevis Hotel and Leisure Club in Fort William in the western Scottish Highlands, on the shores of Loch Linnhe where it was still daylight! 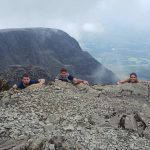 8.30am after a hearty breakfast we met up with our lovely guides Rachel and James to begin our ascent of Ben Nevis. The guides told us that the beautiful glen from where we set off was used in the Harry Potter films – the scenery was stunning! 12:30am having crossed a snowy plateau we finally reached the summit. 3.30pm everyone back down again jump in the wagons and head off to Carlisle stopping for a bite to eat on route. 10pm Arrive at Carlisle and bed down for the night. 9.30am Set off from Carlisle an hour later than planned after several people needed to go to Millets to buy last minute mountain climbing equipment. 11.00am arrive at the beautiful Wasdale Head in the Lake District and begin our ascent of Scarfell Pike. No guides for this one, so we head off on our own for an adventure! This was the peak that unfortunately broke some of the group, with Lee and Ollie both picking up knee injuries. The final members of the group reached the bolder-strewn summit at around 2.30pm, but it was the way down that caused most pain. 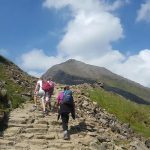 More climbers picked up injuries – mainly to toes and toe-nails, but rather crucial parts of the body when hiking up mountains! 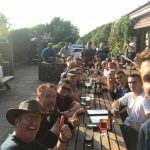 5.30pm With everyone safely back on terra-firma and after Gary and Gwilym had taken a well-earned dip in a mountain stream, we headed off to the local pub for a celebratory meal before heading on to Wales. 1am After detours for roadworks we reached our digs for the night. 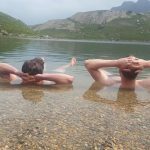 As our group was large, we were split between two places of rest, some brave souls had the fun of a youth hostel for the night while others were in glamping pods. 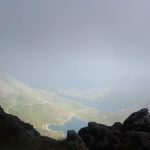 9.30am The team began the ascent up the Pyg track a gently walk to begin with before slowly turning into a more serious climb over rocks and boulders. 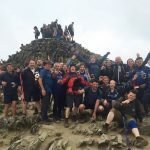 1pm Everyone had made it to the summit and we could finally say that we had completed the three peaks!! Another celebratory photo and a spot of lunch on a mountain top before leaving around 2pm. 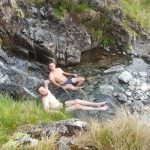 Some of the group took the Llanberris trail to one minibus and the others took the Miners track allowing them a detour for another dip – this time in Glaslyn Tarn. With everyone down by 4pm all that remained was to find the missing Peter before saying our good byes and beginning the long journey back to Sussex. The total raised so far is an incredible, £12,465.83!! 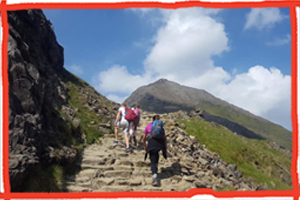 As the climbers now follow-up with various people who pledged to donate afterwards, that figure looks set to rise, so well done and thank you to everyone who took part – you were all awesome and made it lots of fun – we’re so grateful for the money raised – all of it going towards our new Respite Centre. So thank you to everyone, and for the next challenge fundraising event, keep your eyes peeled, as it is going to be a corker! !